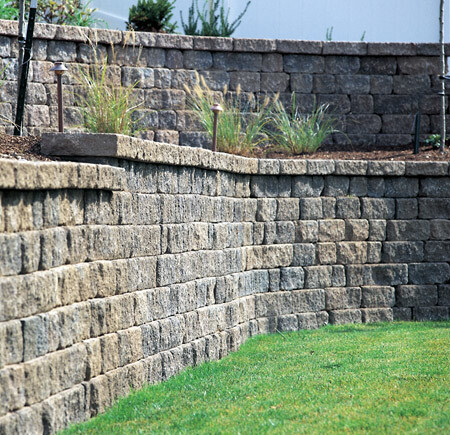 Belgard Pavers and Wall Block Retaining Walls are Now available in the Redding, Northern California Area. Home owners, contractors and developers welcome. Heighten the Drama of Your Property with Celtik Wall. Belgard’s twentieth century interpretation of prehistoric Celt-stone offers elegance combined with today’s durability, flexibility and ease-of-maintenance. The beauty of Celtik Wall is that it doesn’t look like a manufactured product; it looks like authentic stone. Encircle greenery, partition property, accent light posts, or create the air of rugged romance. Belgard’s Celtik Wall applications are available in a range of colors to complement your home and grounds. Celtik Wall 90 refers to its size of 3 1/2 inches or 90 mm (millimeters). Celtik Wall 135 refers to its size of 5 1/4 inches or 135 mm (millimeters). Belgard Celtik Retaining Walls are stackable, mortarless blocks available in many colors and styles for building concrete block Retaining Walls. Stately and majestic, Celtik retaining walls create outdoor living spaces that are beautiful to behold and inviting to walk through. They add visual interest as well as a sense of richness and permanence. 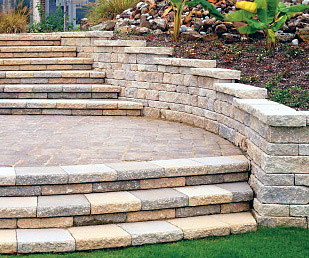 Whether your project involves adding terrace, raised planting beds or large structural retaining walls Belgard offers a solution for your design and aesthetic needs. Just like the vertical aspects that it enhances, the retaining walls come alive by incorporating the roughness and irregularity of natural stone. Celtik Wall units are designed for use as retaining walls, terraces, planting beds, steps and any decorative application where a maintenance-free, easy-to-install building material is preferred. The Celtik Wall unique anchoring system is available for the construction of vertical or sloping walls. The Celtik Wall evokes the texture and unevenness of natural stone and is ideal for creating curves or straight walls and pillars. Celtik Wall units are made from specially designed and shaped modular concrete masonry units. The Celtik Wall anchor pin facilitates the construction of walls with a maximum height of 42″ (1067 mm), in ideal sites. A special pin system has been designed to stabilize the overall structure and guide the installation of the modules. The dual position system allows for the construction of vertical or 9 degree sloped walls. Modules are delivered with 2 different anchor pins: a regular pin with blades, and a second pin without blades, designed for the construction of corners. 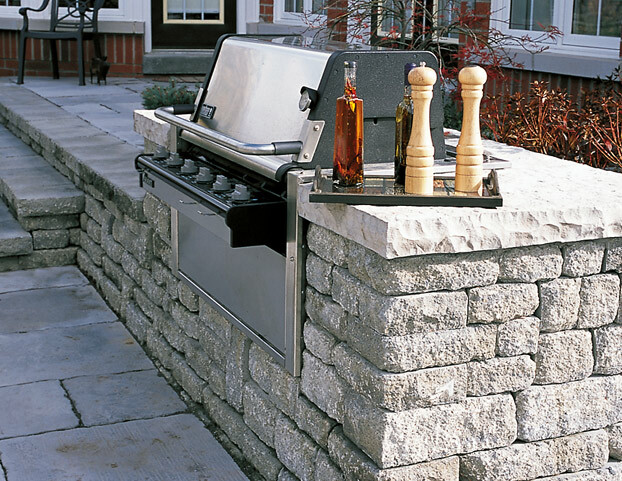 Belgard concrete pavers and retaining walls will enhance the aesthetics and value of your property. With a wide selection of colors, shapes and finishes, these products enhance any architectural style from Craftsman to Contemporary and Mission to Mediterranean. Vic Hannan’s professional staff is committed to providing the tools and solutions you need to assist with your toughest landscaping and hardscaping challenges. Belgard sets the standard for landscape design ideas and innovation. See for yourself. Contact us today for a look at what Vic Hannan and Belgard can do for you.